For nearly ten years, the Harry Potter book series captivated millions of readers — even before it ended, a film series followed in its footsteps, going on to become one of the highest-grossing franchises of all time. With a theme park, an acclaimed Broadway play, and a studio tour now part of the magic, the wide, wonderful wizarding world of Harry Potter is here to stay, beloved by fans of all ages around the world. No matter how much they might love the world of Harry Potter, even the most devoted fans have to admit that there are a few structural flaws in the universe that J.K. Rowling envisioned. When rereading the books or watching the movies, more observant Potterheads tend to find little inconsistencies; even though they don't really take anything away from the joy of the overall series, they're still worth noting. From limited career options to the logistics of Polyjuice Potion, are just a few things about the world of Harry Potter that don't really make sense. When a young Harry Potter arrives at Hogwarts at the age of 11, he's quickly sorted into his House, ending up in Gryffindor (rather than Hufflepuff, Ravenclaw, or Slytherin). With seven years of schooling ahead of them, the new Gryffindors settle into their dorm, and the reader learns that Harry has four male roommates. While this seems normal enough at first, Harry and his friend return to the exact same dorm every single year, without adding to their numbers, seeming to indicate that there are only five boys (and presumably, five girls) in each year per House. Their curriculums also don't follow any sort of logical pattern, either; while Harry and his Gryffindor classmates often share classes with their enemy house, Slytherin, they're never paired with Ravenclaw, and occasionally, without explanation, Gryffindors have class without any other House involved. Author J.K. Rowling once said in an interview that there are a thousand students at Hogwarts, which makes some sense, but that number still seems fairly low considering that Hogwarts is apparently the only wizarding school in all of Britain. A fairly depressing fan theory has circulated about Harry's low class size, saying it's thanks to the original war against Voldemort, but this still doesn't clear up most of the inconsistencies surrounding Harry's graduating class. Throughout the series, readers are told that two wizards loom above all others in terms of power — Voldemort and Dumbledore, who wield their extraordinary talent in dramatically different ways. 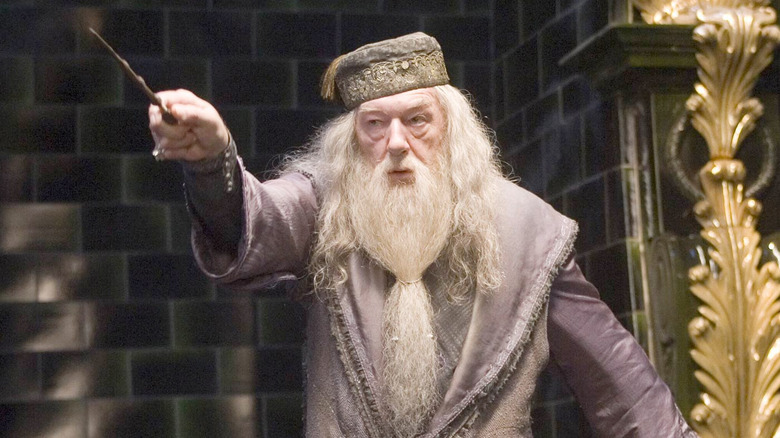 While Dumbledore is a righteous, generous, and heroic wizard who believes in justice and the good in everyone, Voldemort, who spends the entire series hunting Harry, uses his power for evil, surrounding himself with sinister followers on his mission to torture, kill, or otherwise overpower any wizard who would stand against him. With that being said, it's never fully explained why Dumbledore and Voldemort are so powerful, exactly, and how that power is truly measured. Harry Potter's personal orbit is filled with talented wizards, from Professor McGonagall to his best friend Hermione and Severus Snape, the secret hero of the series, but what actually makes one wizard better than another? Does it come down to confidence, like how Neville Longbottom grows into a fine wizard once he begins to believe in himself? What exactly makes a wizard like Dumbledore more powerful than, say, Dolores Umbridge? A perfectly confusing example might be Molly Weasley, who, in the final book and film, bests Voldemort's right-hand woman Bellatrix Lestrange in a duel, after Bellatrix tries to kill Molly's family. If Molly's victory can simply be chalked up to her maternal instincts, it just makes the entire question more confusing, but her momentary surge of power, while satisfying, is confusing when you take a closer look. After a young witch or wizard graduates from Hogwarts, they're expected to join the adult wizarding world, and part of that is figuring out which career works for them. 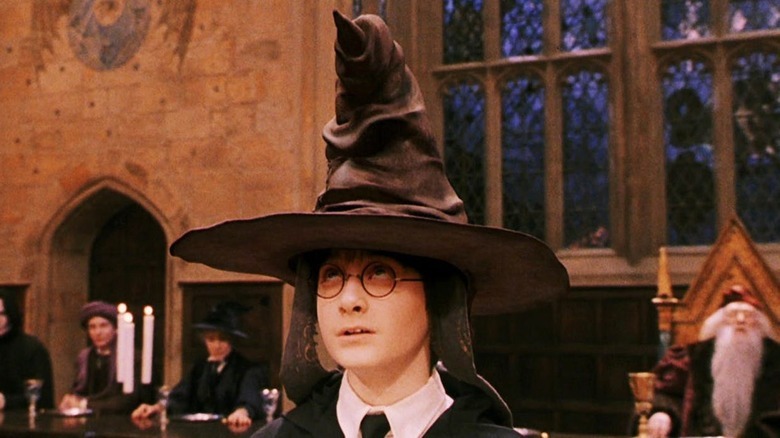 During the fifth book in the series, Order of the Phoenix, Harry visits Professor McGonagall for a required career advice meeting, and they discuss which classes Harry should take to qualify for his desired post-grad job (and since Harry wants to be an Auror, a dark wizard catcher, that's basically all of them). However, besides becoming an Auror, post-Hogwarts options seem pretty scarce, especially according to the adults in Harry's life. It's never revealed what Harry's parents James and Lily did for a living, but almost every adult he knows growing up either works for the wizarding government, the Ministry of Magic (which includes Aurors), or teaches at Hogwarts. 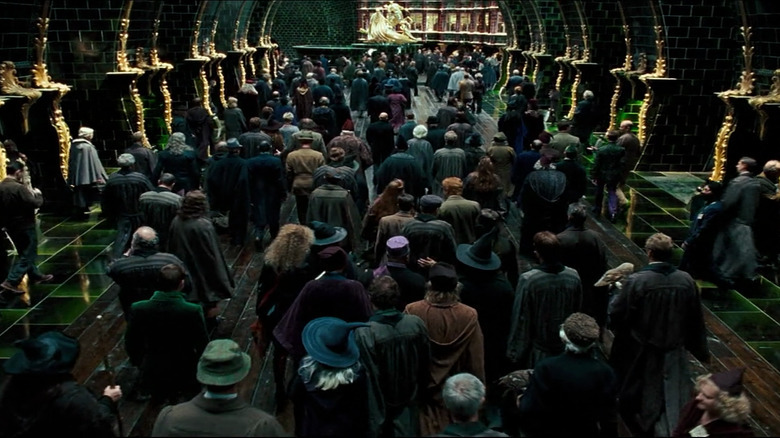 Though there is a wizarding hospital, St. Mungo's, which is stocked with Healers, and some talented athletes might become Quidditch players, this means there are roughly four viable career paths in the wizarding world, all of which require rigorous schooling and difficult training regimens. The stage play Harry Potter and the Cursed Child, which serves as a sort of sequel to the original series, seems to confirm the lack of career options — as adults, Harry, Ron and Hermione are all employed by the Ministry, with Hermione even serving a term as the Minister of Magic. 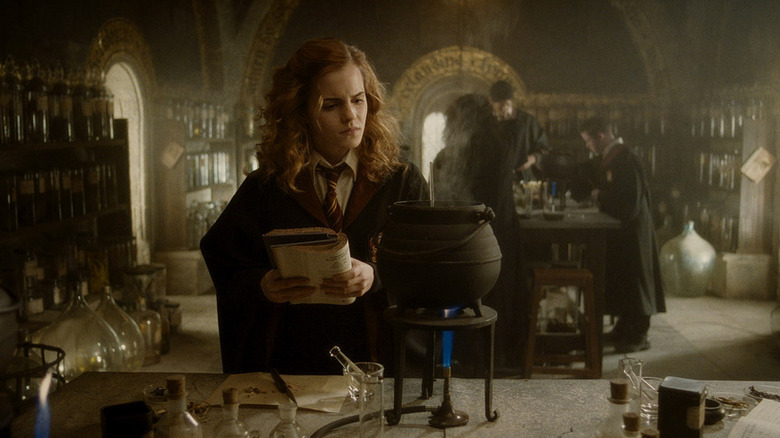 Throughout their studies at Hogwarts, students are introduced to a number of fantastical classes, all of which sound a lot more interesting than any schooling readers might have been familiar with in their own lives. In Transfiguration classes, you might learn how to turn a mouse into a teacup; Herbology introduces students to a number of magical plants, herbs, and fungi; in Potions, you can make a potion that induces anything from joy to an instant death; and in Defense Against the Dark Arts, you might learn about a sinister magical creature or figure out how to incapacitate your enemies. Though these classes sound fascinating, one has to wonder how useful each one actually is, even in the wizarding world. Other seemingly less useful classes that Hogwarts students are required to take include Care of Magical Creatures, which seems irrelevant at best, or Divination, a subjective and imprecise subject that not even the teacher, Professor Trelawney, seems to be able to fully grasp. Some advanced students, like Hermione, end up taking classes like Arithmancy (which seems to basically be very advanced math), but why wouldn't every Hogwarts student need to take a class as important as arithmetic, which would likely factor into any post-Hogwarts career they might want to pursue? Hogwarts might sound extremely fun, but its schooling does seem incredibly impractical. Another fantasy-worthy aspect of the wizarding world is all of the amazing magical objects that serve any number of purposes. Readers were drawn into Harry's world just as he was by everything from magic wands to flying broomsticks, which are just as fascinating and fantastical as they are practical. As Harry gets to know wizarding families, he discovers even more magical items that catch his eye, including tents that magically expand inside to include entire homes, a magical clock that resides in the Weasley family's house that notes if members of the family are working, traveling, or in "mortal peril," a glass eye that can see through anything at all, and Dumbledore's Pensieve, which allows him to store memories and explore them at a later time, or even show them to others. All of these items are incredibly useful, but the magical world is also seemingly rife with objects that have essentially no use at all. Not only do Hogwarts students inexplicably use old-fashioned quills — which do not seem to magically refill themselves when they need more ink — but some students, including the absent-minded Neville Longbottom, carry Remembralls, a small glass ball that turns red if you forget something. That sounds great in theory, but since a Remembrall doesn't tell you what you've forgotten, it doesn't actually help with anything, and it remains to be seen why Remembralls even exist. In Harry's third year at Hogwarts, he discovers the Marauder's Map, an enchanted, moving map of Hogwarts that details every secret passageway, contains every room, and shows the user where every single person within the castle is and whether or not they're on the move. 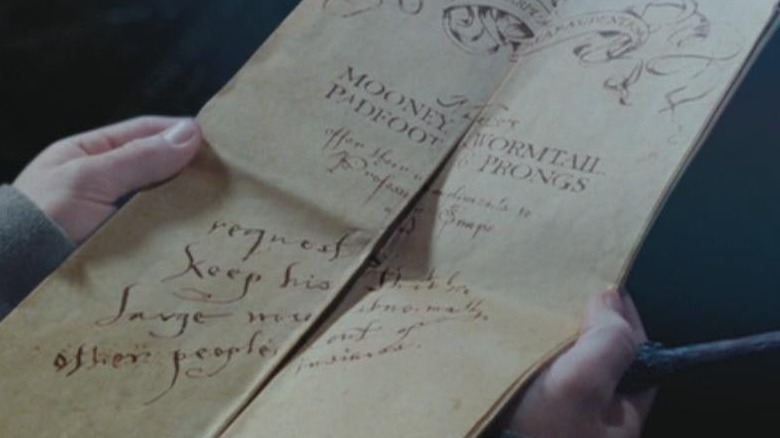 A password-protected cheat sheet to the school, the map is immensely useful to Harry throughout his time at Hogwarts and beyond, and as it turns out, it was his birthright all along; Harry's father, James, created the map during his own time there along with his three best friends. Harry is given the map by Ron's brothers Fred and George, the notoriously mischievous Weasley twins, who have been its custodians for years, but this seems a bit off, considering that the map apparently contained a huge, conspicuous secret the entire time they had it. Peter Pettigrew, one of the map's creators and the man who betrayed Harry's parents, spent 12 years posing as Ron's pet rat and sharing a dorm room with Ron and Harry, and apparently, Fred and George didn't pay much attention to the strange name hanging out with their brother for years. Even when Harry gets the map, he ends up tricked by it, simply because the map can't distinguish between a son and a father who share the same name. For an omniscient map that holds all the answers within Hogwarts, it could be a bit clearer. One notable feature of Hogwarts is that it's filled with magical, moving portraits, and students and professors alike can communicate with the seemingly alive subjects within. 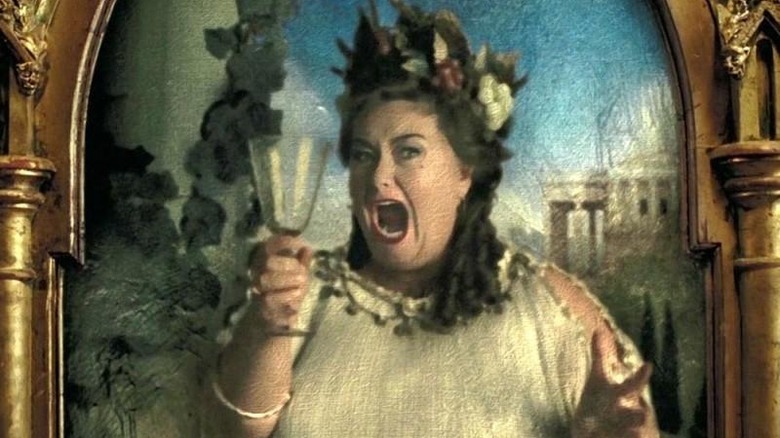 From the portrait of the Fat Lady, who guards the Gryffindor Common Room, to the former headmasters and headmistresses living in their own commemorative portraits in Dumbledore's office, this world is filled with painted personalities who are fully capable of carrying on conversations with anyone who tries to talk to them. Though Harry never directly learns the rules of portraits, it seems as if they're only created when a wizard dies; after Dumbledore's death in Half-Blood Prince, his portrait appears alongside his predecessors in the headmaster's office, and as it turns out, he dispenses advice to Severus Snape, who takes up the post in the seventh book (and he continues this habit during Cursed Child, helping Harry when he needs it). Even so, the exact mechanics of these magical portraits remain bafflingly unclear. There's definitely some part of the person within the portraits, but does it only contain the knowledge they possessed until their death, or can the portraits continue to evolve? Every portrait Harry encounters seems to be able to process and learn new information, making the concept all the more confusing; naturally, the magic behind this went unexplained throughout the series. Why would any wizard ever need to wear glasses? Harry encounters plenty of action and adventure during his time in Hogwarts (as well as his time away from it), which seems par for the course for a kid constantly evading the most dangerous dark wizard of all time — and as a result, he also encounters plenty of injuries. From regrowing all of the bones in his arm to recovering from deadly curses to an incident involving Hermione accidentally transforming into a cat, the medical staff at Hogwarts is usually on high alert, and the school nurse, Madam Pomfrey, is capable of mending broken bones in the blink of an eye or whipping up a potion to fix even the worst curse-related injury. Madam Pomfrey's skills extend beyond life and death circumstances as well; when Hermione ends up cursed with expanding teeth, the nurse shrinks them so that they're cosmetically perfect, even though Hermione's teeth weren't perfect before she was hit with the curse. 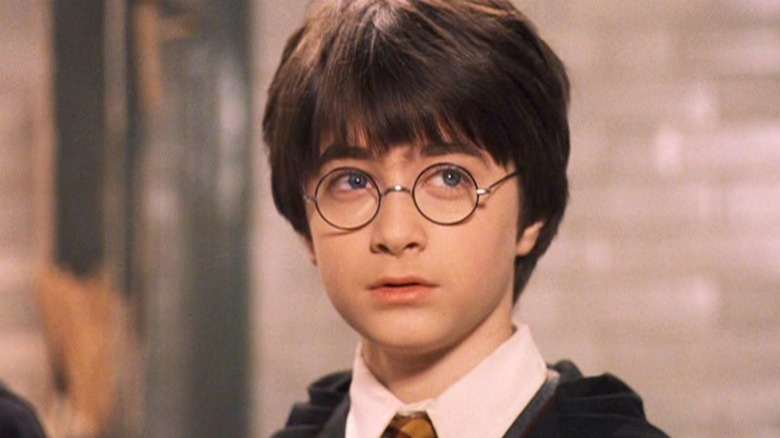 With that being said, it's a little odd that so many characters in Harry's world, including Harry himself, wear glasses. Dumbledore also dons spectacles, as do two separate members of the Weasley family (Arthur and his son Percy), conniving reporter Rita Skeeter, and Transfiguration professor Minerva McGonagall. If Madam Pomfrey or any healer at St. Mungo's can cure poisoned snake bites and broken legs, why can't they fix astigmatism? One of the most interesting potions in the wizarding world is Polyjuice Potion, a brew that allows the user to transform into any other person for one hour, as long as they have a "bit" of that person (which, in Harry's experience, typically means a hair or two from the person's head). In Harry's second year, he and Ron impersonate two Slytherin students, Crabbe and Goyle, to figure out if Harry's nemesis, Draco Malfoy, is using the Chamber of Secrets to attack Muggleborn students, and in Harry's fourth year, it turns out that one of his professors is not the actual Auror Mad-Eye Moody, but a Death Eater pretending to be Moody thanks to the potion. Despite the difficult brewing process, Polyjuice Potion is a constant factor throughout Harry's journey. If Polyjuice Potion seems too good to be true, think again — there are any number of problems the user could encounter while using it, beyond Hermione accidentally using a cat hair in Chamber of Secrets and ending up in the hospital wing. Even if you look exactly like the person you're impersonating, anyone who knows them well enough would likely notice if your mannerisms are off, and the entire situation could be blown wide open when someone whose hair has been used for Polyjuice suddenly doesn't remember conversations or experiences they had with other people. Polyjuice might seem foolproof, but it's far from it. The years-long stalemate between Harry and Voldemort has tons of twists and turns, and both sides concoct complicated plans to trick, evade, or best the other. Each has a group of dedicated friends or followers; while Harry has Ron, Hermione, and Dumbledore to help him fight Voldemort, the evil Dark Lord has his Death Eaters, who are completely beholden to him, and each faction spends most of their time strategizing how to destroy Harry or defeat Voldemort (depending on which side they're on). With that said, not every plan is a winner, and in fact, most of them depend on insane mitigating circumstances that are out of anybody's control. 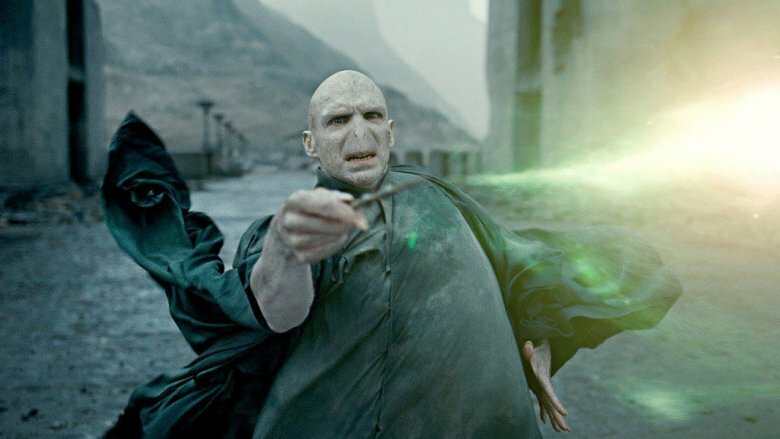 In Harry's fourth year, Voldemort, who is planning his return, needs Harry's blood, but rather than try to capture Harry directly, he forms a ridiculous plan that hinges on Harry winning a tournament in which he shouldn't even be allowed to compete (naturally, fans have theories about the intricacies of this scheme). 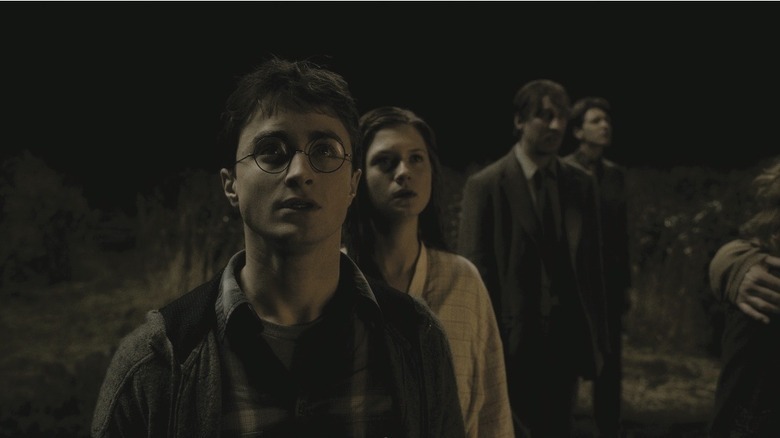 In Deathly Hallows, a group of Aurors and Harry's friends use Polyjuice Potion to create seven Harrys who all need to get to separate safe houses, but why didn't Harry use Polyjuice, or why didn't all of them Polyjuice into Muggles and take some form of non-magical transportation to evade the Death Eaters? Maybe it's comforting to know that even though they can do magic, wizards can be just as obtuse as regular humans. Hogwarts is certainly an amazing and magical place to go to school, but the children attending the school find themselves in life-threatening situations almost constantly. Harry and his friends certainly attract danger, but even the most average Hogwarts student might find themselves in mortal peril at the drop of a hat. In Harry's first year alone, the castle plays host to an enormous three-headed dog that is only separated from the students by a simple locked door, as well as a magical obstacle course filled with potentially lethal rooms. Quidditch itself is no picnic; one fall from a broomstick or Bludger to the head could prove fatal to one of the players (and yet, even though students need a permission form just to go to the neighboring town of Hogsmeade, no such form is required for a magical, dangerous sport). In Harry's fourth year, the Triwizard Tournament comes to campus, bringing with it dragons, sphinxes, and murderous merpeople (in fact, one student, Cedric Diggory, does die during the tournament) — and these are just the school-sanctioned activities. Throughout Harry's time at school, a deadly basilisk roams through the pipes and nearly kills several students and the castle is besieged by evil forces several times, once by Voldemort himself (and in the ensuing battle, several students are killed). Does the average Hogwarts parent not know about all of these dangers, or do they just not care? In Half-Blood Prince, readers are introduced to the concept of an Unbreakable Vow, which is exactly what it sounds like — two people make a promise, and if either breaks it, they'll die, making the Vow more or less a really extreme version of marriage. Though Ron recalls a time when his troublemaker older brother Fred tries to trick him into making the vow, the only time readers or viewers see the Vow committed is between Severus Snape and Draco Malfoy's mother, Narcissa, who asks Snape to help her son carry out an assassination attempt on Dumbledore, which Voldemort has cruelly ordered. Voldemort, a wise if evil wizard, certainly knows about Unbreakable Vows, and though he does have a large amount of control over his Death Eaters (including the Dark Mark, a branded tattoo with which he can summon his followers), one might wonder why he wouldn't ever use an Unbreakable Vow for evil, especially considering that Snape, seemingly his most loyal servant, was a double agent against Voldemort for years. After Voldemort killed Lily, Harry's mother and the love of Snape's life, Snape turned against his former master, and secretly worked with Dumbledore and an unwitting Harry to bring the Dark Lord down. Had Voldemort just used the Vow, Snape would have died when he became a double agent, and Voldemort might never have been bested by a teenager.